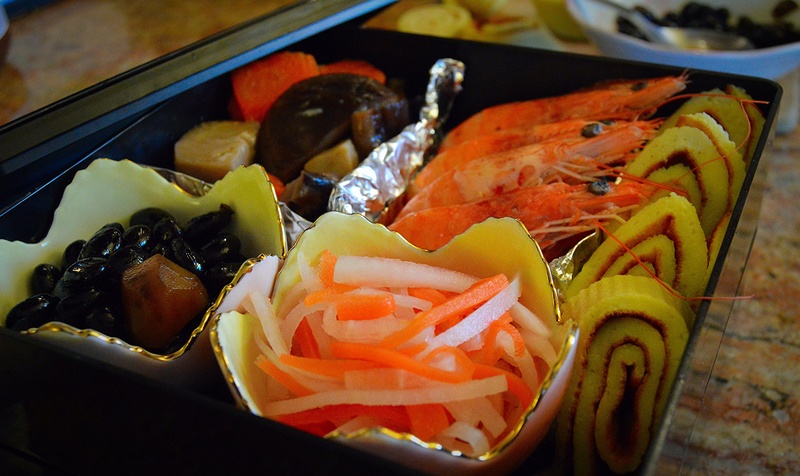 This is a traditional Japanese new year food called “Osechi” which is set in boxes with a variety of small dishes. 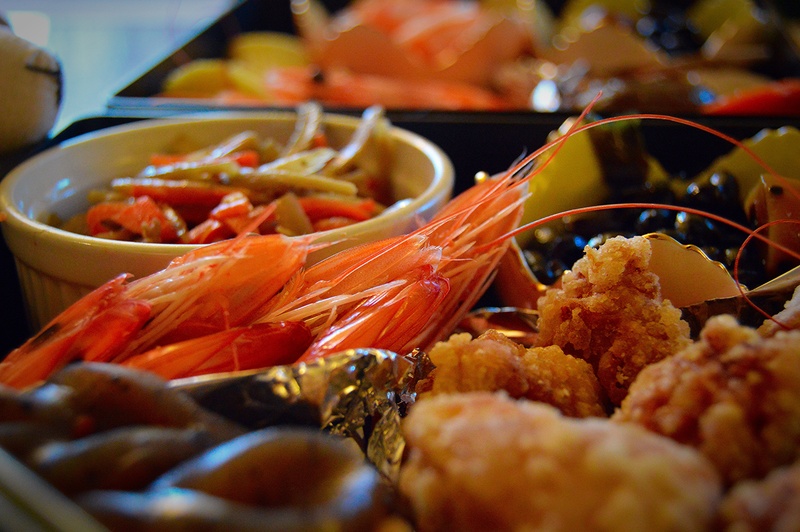 When I was a child, I was not crazy about Osechi but I now miss this traditional food, especially since I am older and away from my parents. I skipped some of the foods because they are simply too expensive in America, like fish cake (kamaboko). 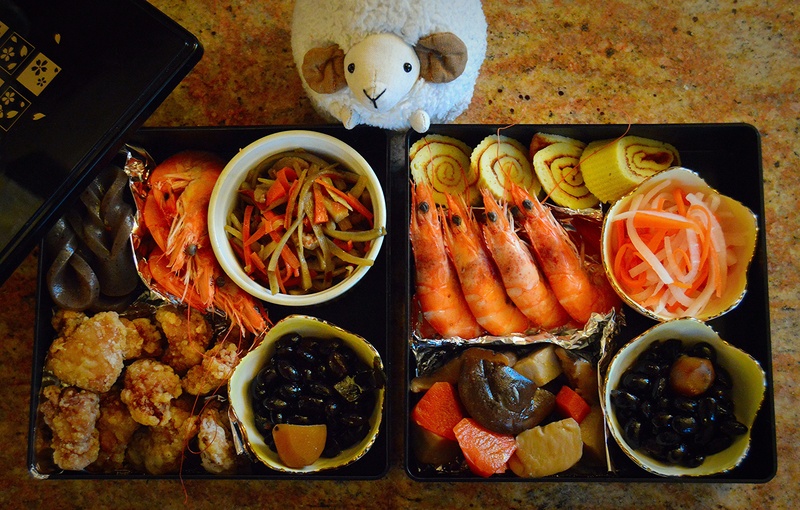 I enjoyed Osechi and mochi with my family on this new year’s day breakfast. May this year be a good one for everyone! Pretty! I’m sure it’s yummy!